Our goal is to create wines with classic beauty. Wines with balance, complexity and harmony. Cheers friends! 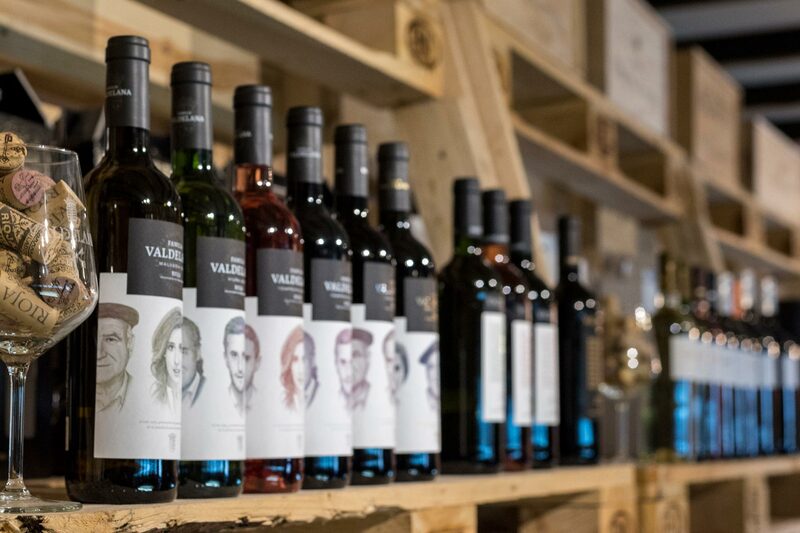 The Valdelana family makes wines for people with sensibility, people who can perceive and appreciate the work and passion that is inside a bottle, in each drink we try to seduce in the aftertaste, most important part of memory being this one that embraces the rest of the senses. This wine is a tribute to those fifteen generations that have preceded us in time, our grandparents who with their good work, have given us what we are today, a family winery settled in those strong drafts that have seen us grow since 1583. VARIETIES: 100% Malvasia. Malvasia is a minority grape variety in Rioja. It is common in dry climates and poor soils with high humidity sensitivity. Medium-sized clusters; spherical berries, reddish-purple when ripe. AGE OF VINEYARD: Over 35 years. CLIMATE: Mediterranean climate with Atlantic influences. RAINFALL: An average of 650 liters per year. WINEMAKING: Judit, first woman in the family with advanced knowledge in Oenology, has created a different version of the traditionally made white Riojas. Harvested during the second week of September. Cold maceration. Fermented at low controlled temperature for two weeks. Stabilized for three months on its fine lees to prevent oxidation which adds further complexity to the wine. VISUAL PHASE: Light yellow coloured with greenish hues. OLFACTIVE PHASE: High aromatic intensity, tropical fruit, passion fruit, mango; notes of apricot, peach, white fruit and fennel. Rich, soft and fresh. GUSTATIVE PHASE: Perfectly integrated acidity and a long aftertaste where white flowers scents prevail. SERVICE TEMPERATURE: Fresh, between 6°C and 8°C. PAIRING: It pairs with appetizers, tapas, rice, pasta, white meat and fish. VARIETIES: 100% Viura. Viura is the main white grape variety in Rioja. Medium-sized clusters; golden-coloured berries with thin skin. AGE OF VINEYARD: 35 years old. CLIMATE: Mediterranean climate with Atlantic and Continental influences. WINEMAKING: Juan, the youngest member of the family, has made this wine, with an excellent combination of modern oenology and the long winemaking tradition of Valdelana family. Harvested during the third week of September. Cold maceration of whole grape grains. Soft and intense pressing. Naturally strained and fermented at low controlled temperature. Stabilized on its fine lees until its bottling. VISUAL PHASE: Bright and clear greenish yellow colour. OLFACTIVE PHASE: Well defined aromas of ripen white fruit, pears in syrup, and floral notes. GUSTATIVE PHASE: Rich, round, tasty, glyceric, with fresh acidity. SERVICE TEMPERATURE: Between 6°C and 8°C. VARIETIES: 100% Garnacha. Garnacha is the perfect grape variety for this type of wines. It is a variety very resistant to long periods of drought and illnesses. AGE OF VINEYARD: 28 years old. CLIMATE: Atlantic with reflections of the Mediterranean during 8 hours. WINEMAKING: Cold maceration for eight hours to extract all the aroma precursors and to achieve the desired colour. Bleeding of the must and fermentation at low controlled temperature. VISUAL PHASE: Intense raspberry rose colour, with a violet rim. OLFACTIVE PHASE: High aromatic intensity, showing some notes of pomegranate, watermelon, blueberries and redcurrants against a rose background. GUSTATIVE PHASE: Fresh and creamy mouth-feel; pleasant acidity leading to a long, fruity aftertaste. PAIRING: It pairs with appetizers, tapas, rice, pasta, white meat, stews and fish. VARIETIES: 95% Tempranillo, 5% Viura. A small percentage of Viura is added to Tempranillo, the region’s most important grape variety, to highlight its colour and aromas. AGE OF VINEYARD: Over 37 years. SOIL: Chalk-clay soil with rounded stones. WINEMAKING: Juan, the youngest member of the family, combines tradition and innovation to create this young red wine. Harvested during the third week of September. Traditional vinification process. De-stemming and skin-contact maceration at low temperature for 18 days. Pumping-over process repeated twice a day at the beginning; just one gentle pumping-over at the end of the process. VISUAL PHASE: Deep cherry-red, with light purple hues. OLFACTIVE PHASE: Abundant, ample tears, flowing slowly down the sides of the glass. High aromatic intensity, with prevailing notes of red fruit, strawberries; aromas of black fruit, wild blackberries, raspberries, redcurrants. GUSTATIVE PHASE: Well-balanced in the mouth, with a powerful and greedy entrance. Long aftertaste of fresh red fruit at the end. SERVICE TEMPERATURE: Fresh, from 8°C to 10°C. PAIRING: It pairs with tapas, meat, stews, legumes and traditional Spanish meals. AGE OF VINEYARD: Over 40 years. 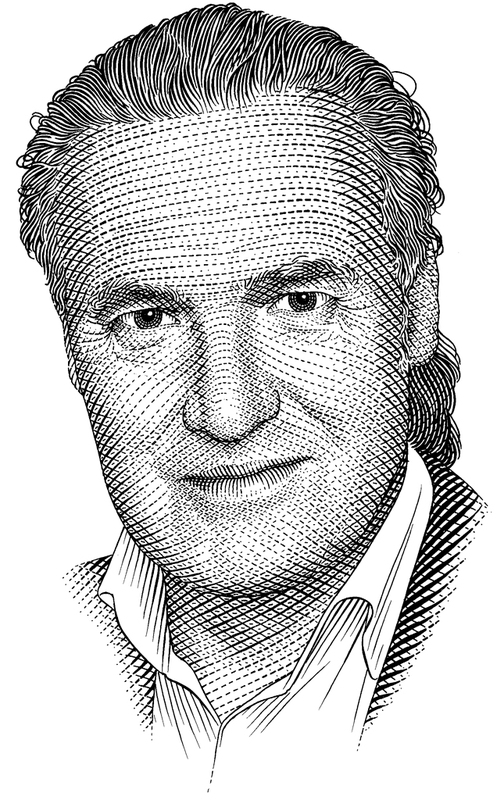 WINEMAKING: Juan Jesús, the oenologist, has captured the full terroir potential and the true expression of our land. Harvested during the first week of October. Pre-fermentative maceration at low temperature and spontaneous alcoholic fermentation. Malolactic fermentation in French oak barrels. Aged for 12 months, using French oak barrels (50%) and American oak barrels (50%). VISUAL PHASE: Deep cherry-red colour; clean and bright. OLFACTIVE PHASE: Fruity on the nose, this wine is well balanced, with some balsamic notes and some oak in the background. GUSTATIVE PHASE: Blueberries and wild blackberries integrated with oaky aromas, such as vanilla or cinnamon. Fruit and oak perfectly blended on the palate; powerful and elegant wine. Long and intense aftertaste, with a touch of bananas, strawberries and chocolate. SERVICE TEMPERATURE: Fresh, from 10ºC to 12ºC. VARIETIES: Tempranillo 95% and 5% Graciano. The Graciano is an indigenous variety of Rioja, a perfect travel companion for the Tempranillo, as they complement each other perfectly for a fruitful old age. AGE OF VINEYARD: Around 60 years. WINEMAKING: Isidoro, the grandfather of the family, uses his wide experience making and ageing wine to create Reserva Valdelana. This wine shows the true personality of a vine-grower, somebody that has always been faithful to their vineyards. Harvested during the second week of October. 9-day alcoholic fermentation at 26º C. Extended skin-contact maceration for 12 days. Malolactic fermentation in French oak barrels. Aged for 18 months, using French oak barrels and American oak barrels. VISUAL PHASE: Deep ruby-red colour. OLFACTIVE PHASE: High aromatic intensity, with prevailing balsamic notes of aromatic herbs, lavender, fennel and rosemary. Perfectly integrated scents of black fruit. GUSTATIVE PHASE: Big mouth-filling wine; well-balanced acidity in the mouth, with a pleasant structure and fine tannins. Pleasant finish, with a background of dark fruit, plum and chocolate. SERVICE TEMPERATURE: From 12ºC to 18ºC. PAIRING: It pairs with tapas, meat, stews, legumes, traditional Spanish meals and desserts. In honor and recognition of Sancho Núñez "Ladrón" de Guevara courage and cunning, the Valdelana Family due to holding the noble title Barón Ladrón de Guevara brings to the market in the year 1989 their first wine with this noble title. A tenacious wine, brave and with a long and attractive aftertaste. According to the legend, towards the year 716 the Arabs entered through Andalusia and after several combats they reached Navarra, where after long disputes Queen Doña Urraca of Navarra, wife of García Iñiguez de Pamplona, ​was killed while pregnant. When arriving at the combat's scenario, a nobleman from Alava called Sancho Núñez de Guevara found the bodies of the kings laying on the ground. He could rescue from Queen's Doña Urraca's womb her baby thereafter called Sancho (Sancho Garcés I of Navarra). Sancho Garcés remained hidden until the abdication of the throne of his older brother Fortún García. When the courts of Sangüesa recognized him as king, Sancho Garcés affectionately nicknamed "Ladrón" (Thief) to his savior, Sancho Núñez, giving rise to the surname Ladrón de Guevara. WINEMAKING: Harvested during the second week of September. Cold maceration. Fermented at low controlled temperature for two weeks. Stabilized for three months on its fine lees to prevent oxidation which adds further complexity to the wine. SERVICE TEMPERATURE: Fresh, from 6°C to 8°C. WINEMAKING: Harvested during the third week of September. Cold maceration of whole grape grains. Soft and intense pressing. Naturally strained and fermented at low controlled temperature. Stabilized on its fine lees until its bottling. SERVICE TEMPERATURE: From 6°C to 8°C. WINEMAKING: Harvested during the third week of September. Traditional vinification process. De-stemming and skin-contact maceration at low temperature for 18 days. Pumping-over process repeated twice a day at the beginning; just one gentle pumping-over at the end of the process. WINEMAKING: Harvested during the first week of October. Pre-fermentative maceration at low temperature and spontaneous alcoholic fermentation. Malolactic fermentation in French oak barrels. Aged for 12 months, using French oak barrels (50%) and American oak barrels (50%). WINEMAKING: This wine shows the true personality of a vine-grower, somebody that has always been faithful to their vineyards. Harvested during the second week of October. 9-day alcoholic fermentation at 26º C. Extended skin-contact maceration for 12 days. Malolactic fermentation in French oak barrels. Aged for 18 months, using French oak barrels and American oak barrels. VARIETIES: 95% Tempranillo, 5% Graciano. AGE OF VINEYARD: Over 70 years old. WINEMAKING: Grape carefully selected from our oldest vineyards, which produce less than four clusters per plant. Harvested by hand during the second week of October. Collected in special boxes, each one weighing 20 kilos. Placed into a cold storage room at 5ºC for one day. VISUAL PHASE: Deep red-garnet colour with a violet rim; bright and beautiful. OLFACTIVE PHASE: High aromatic intensity, with prevailing notes of cherry. Perfectly integrated scents of wild fruit and dairy products. GUSTATIVE PHASE: Powerful and greedy entrance. Attractive combination of freshness and maturity. Ripe fruit on the palate; well-balanced fresh acidity, with a pleasant structure and fine tannins. Lingering finish. SERVICE TEMPERATURE: Fresh, from 10°C to 12°C. WINEMAKING: Grape carefully selected from our oldest vineyards, which produce less than four clusters per plant. Harvested by hand during the second week of October. Collected in special boxes, each one weighing 20 kilos. Placed into a cold storage room at 5ºC for one day. Pre-fermentative maceration at low temperature and spontaneous alcoholic fermentation. Malolactic fermentation in French oak barrels. Aged for 12 months, using French oak barrels (50%) and Russian oak barrels (50%). OLFACTIVE PHASE: Balsamic notes on the nose combined with oaky aromas, such as vanilla. Rich palate, broad and succulent. GUSTATIVE PHASE: Full rich entrance leading to a supple, fruity palate with soft integrated tannins. Pleasant finish with balsamic notes in the background. Fruit and oak perfectly blended. Creamy mouth-feel with elegant tannins. Long, intense, velvety aftertaste. Great retronasal aromas. WINEMAKING: Grape carefully selected from our oldest vineyards, which produce less than four clusters per plant. Harvested by hand during the second week of October. Collected in special boxes, each one weighing 20 kilos. Placed into a cold storage room at 5ºC for one day. Pre-fermentative maceration at low temperature and spontaneous alcoholic fermentation. Malolactic fermentation in French oak barrels. Aged for 24 months, using French oak barrels (50%) and Russian oak barrels (50%). VISUAL PHASE: Deep, intense red colour with a clean and bright rim. OLFACTIVE PHASE: High aromatic intensity, with prevailing notes of mint, plum and chocolate. GUSTATIVE PHASE: Elegant, round, with fine tannins. Subtle and rich mouth-feel. Long, complex aftertaste denoting the perfect balance of good ageing. SERVICE TEMPERATURE: From 16°C to 18°C. PAIRING: Combines excellently with varied tapas, meats, stews, vegetables, typical dishes of the country and desserts. When this project was started, we wanted to make a very female wine. A tribute to that woman that has always been a key pillar in the agricultural holding houses, that working and constant woman that is always ready to be there. That woman with character and strong personality. A passionate wine, very attractive, sensual, aromatic, elegant and seductive from the beginning until its aftertaste that is long and persistent. Mrs. Jacinta Martinez of Sicily and Santa Cruz was born in Logroño, on August 16th, 1811. She spent her youth in her house on Ruavieja Street number 19, a building of the sixteenth century, where the restaurant "La Reja Dorada" is currently located. She met General Baldomero Espartero when he was stationed in Pamplona, after being released. He was imprisoned by the followers of Simón Bolivar during the Viceroyalty of Peru in The American Colonies Independence War. They were married on September 13th, 1827. In spite of this age difference, she always had a notable influence on her husband and he did not make any an importat decision without taking her opinion into account as evidenced by the two hundred and forty-two letters compiled by the Count of Romanones in his book “Espartero, The General of the people”. She was a very learned woman in those days. She obtained the tittle of Duchess from his husband when he was appointed Duke when the Civil War ended due to the negotiations with General Maroto with the Vergara Convention on August 31th, 1839. VARIETIES: Malvasia 100%. Small and minor variety of Rioja. Own of dry climates, poor lands and with high sensitivity to humidities. Medium-sized and spherical clusters, which at maturity have a reddish coloration. AGE OF VINEYARD: Over 60 years old. WINEMAKING: It was harvested in the second week of September. Cold maceration, fermentation under controlled temperature for two weeks. It is preserved for three months with its fine material, protecting it from oxidation, adding volume and complexity. VISUAL PHASE: Pale yellow with greenish reflections. OLFACTIVE PHASE: Very intense, tropical fruit, passion fruit, mango. Fruitful memories of bone, apricot, peach, white fruit macedonia with flashes of fennel. GUSTATIVE PHASE: Broad, silky and fresh, with an acidity balanced with grade. Long finish with a mineral complexity and white flowers. PAIRING: Combines excellently with appetizers, varied tapas, rice, pasta, white meats, stews and fish. VARIETIES: 95% Tempranillo , 5% Viura. The variety par excellence of Rioja fused with a spark of Viura, to enhance the color and the aromas of Tempranillo. WINEMAKING: Harvested in the third week of September. Traditional winemaking with destemming and cold maceration with the skins for 18 days. Two daily rallies at the start and one soft during the last days. VISUAL PHASE: Intense cherry red intense and bright. OLFACTIVE PHASE: Fruit character balanced with balsamic notes, thyme, behind a cedar wood background. Blueberries and wild berries with a vanilla and cinnamon background. GUSTATIVE PHASE: Great balance between fruit and oak, potent as well as fine. Leaves an intense and persistent aftertaste, where plantains and strawberries are found in a cocoa cover. SERVICE TEMPERATURE: From 13°C to 15°C. PAIRING: Combines excellently with varied tapas, meats, stews, vegetables and typical dishes of the country. VARIETIES: 95% Tempranillo, 5% Mazuelo. The Mazuelo is an ideal complement for the Tempranillo, since it enriches it with its abundant tannins, its high acidity and its stable color. These characteristics are optimal for a long aging. AGE OF VINEYARD: 42 years old. WINEMAKING: The harvest was carried out during the first week of October, making a prefermentative maceration in cold and a peculiar spontaneous fermentation. The malolactic fermentation is made in French oak barrels, where it ages for 6 months and another 6 months in American oak barrels of 225 liters. VISUAL PHASE: Very high layer, intense cherry, with purple irisations. Tears dense, timidly stained and with a faint fall. OLFACTIVE PHASE: Forest fruit aromas, wild berries, raspberries, currants. They emphasize the shades of fresh strawberries on a curtain of red fruits. GUSTATIVE PHASE: Powerful and fleshy, with an entry golosa balanced with its acidity. A broad aftertaste that leaves the purest memory of red fruit with a jovial and fresh character. VARIETIES: 95% Tempranillo, 5% Graciano. The Graciano is an indigenous variety of Rioja, a perfect companion for the Tempranillo, as they complement each other perfectly for a fruitful old age. WINEMAKING: The second week of October was harvested, alcoholic fermentation for 9 days at 26oC, post-fermentative maceration with the skins for 12 days. Aging in French oak barrels and 225 liters American oak for 18 months. VISUAL PHASE: Very intense ruby ​​red. OLFACTIVE PHASE: It emphasizes the balsamic character and aromatic herbs like lavender, fennel and rosemary coexisting in harmony with black fruits. GUSTATIVE PHASE: Great volume, with a sweet tannin and a balanced acidity that gives structure and character. Nice feeling of fruit and plum bonbon. SERVICE TEMPERATURE: From 18°C to 20°C. AGNUS, the brand employed for our Signature Wines, represents the personality of Juan Jesús Valdelana. These selected wines are produced using the grape from our oldest vineyards, vineyards that are more than 50 years old. Every single aroma of our region is perceived in our full-bodied signature wines. VARIETIES: Malvasia 100%, minority variety in Rioja. Own Mediterranean climates, poor land and with high sensitivity to humidity. Medium-sized and spherical clusters, which at maturity have a reddish coloration. WINEMAKING: Harvested during the second week of September. Cold maceration. Fermented at low controlled temperature for two weeks. Alcoholic fermentation in French oak barrels; left on its fine lees for three months. VISUAL PHASE: Greenish-yellow colour with a bright rim. OLFACTIVE PHASE: Well defined aromas of tropical fruit; subtle notes of vanilla. GUSTATIVE PHASE: Careful selection of the grape perceived in the mouth. Aphrodisiac, with fine and soft tannins. Long and pleasant finish. Elegant minimalism. It was around the first century B.C. when The Romans arrived to the mainland Spain and introduced the 2 main Mediterranean crops: The Vine and the Olive Tree. Due to the danger of The Ebro River, Rioja was the last navigable area where they were able to arrive and introduce this crops. From our olive trees planted among vineyards we get this excellent Olive juice with a high Omega 3 content. CONTAINERS: 20cl, 50cl and 2 liters can. SOIL: The clay-calcareous soil in Rioja Alavesa is a very poor soil where only 2 crops are suitable to grow in it: The Vine and the Olive Tree. As they are poor soils, they contribute all the mineral wealth to these fruits, making them incredibly fruitiness. 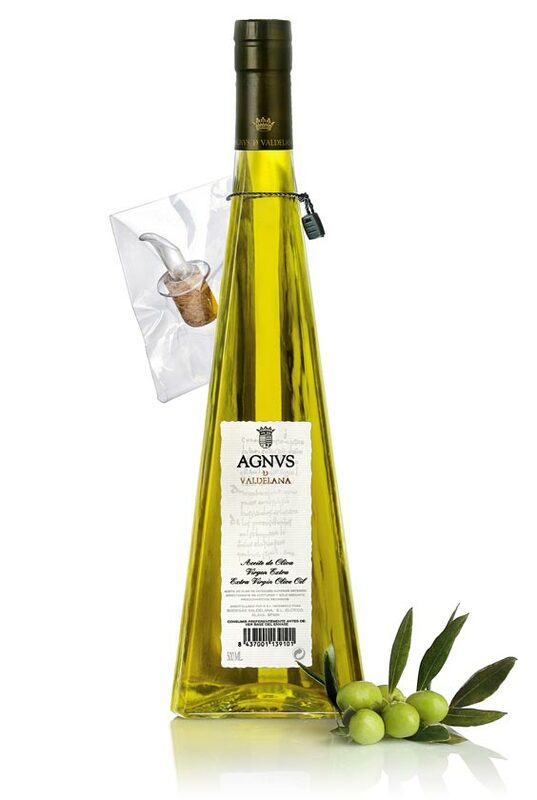 WINEMAKING: Agnvs is an Extra Virgin Olive Oil, made only from Arbequina Olives. To obtain this olive juice, we collect the olives when they start to mature that is usually at the end of October or on early November. We make it cold, in less than twelve hours from the harvest what allows us to obtain low levels of fat but a great intensity of the flavor. VISUAL PHASE: Dense and full-bodied yellow-green oil. OLFACTIVE PHASE: Clean flavor that surprises because of its liveliness makes us remember green and fresh fruits. We can also find tomato, herb, artichoke and apple notes and to a lesser extent banana and wild fruits notes as well. GUSTATIVE PHASE: Its taste is bitter almond, slightly spicy and with a sweet and fluid final result. CENTVM VITIS is a wine of pre-phylloxeric origin that comes from 4 hectares of vineyard that survived phylloxera. These strains already have more than 100 years of history, living with four generations of the Valdelana family, who have put all their efforts in the care of these experienced vineyards. VARIETIES: Tempranillo 95%, Graciano 5%. The Graciano is an indigenous variety of Rioja, a perfect companion for the Tempranillo, as they complement each other perfectly for a fruitful old age. AGE OF VINEYARD: Over than 100 years. WINEMAKING: Fourth week of October. Prefiloxeric vines over 100 years old. Autochthonous strains, not from American rootstocks. Fermentation temperature between 28°C and 30°C. High concentration of polyphenols, reaching 28 points of color. Malolactic fermentation in new Allier French oak barrels. Afterwards it remains in barrel for 10 months with its corresponding racks. VISUAL PHASE: Bright and clean, violet color, very deep. OLFACTIVE PHASE: The nose is very fresh, elegant and intense, with notes of fresh fruits: raspberries, strawberries, currants. GUSTATIVE PHASE: In the mouth it's tasty, fresh, fleshy and very sweet, perfectly balanced and with a fruitful memory. Very long and attractive finish. SERVICE TEMPERATURE: This is an extremely unique wine that needs to be decanted for aeration at least 30 minutes before consumption. We recommend tasting it between 18°C and 20°C. PAIRING: Combines excellently with all the great dishes of the country, especially with red meats.